Genuine Red Hound Auto Heavy Duty Premium Industrial Grade Caster Wheels. 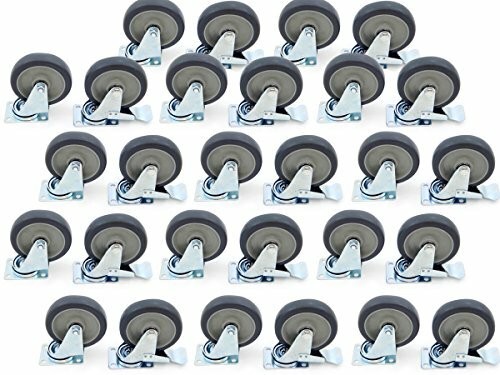 These premium, heavy duty caster wheels are designed tough and made from the highest quality materials. Our premium double ball bearing design and rust-resistant finish give you a smooth roll for the toughest jobs. The ultra-strong TPR (thermoplastic rubber) wheels resist most acids and chemicals and won't skid or mark your floor. Durable and ready to handle tough jobs. Wheel Size: 4" diameter x 1-1/4"; Plate Size: 3-3/4" x 2-1/2"; Bolt Pattern: 3" x 1-3/4"; Total height: approximately 5"